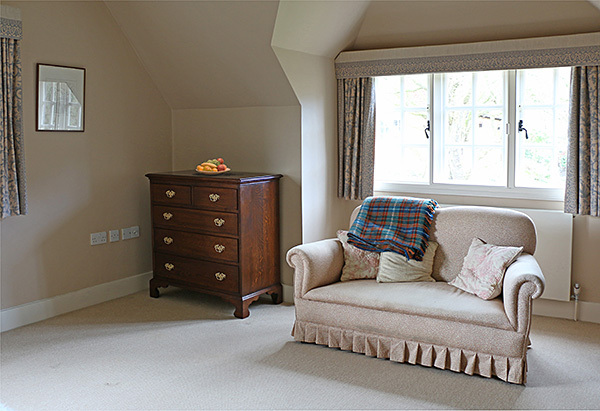 Pictured here in the large master bedroom of our clients Berkshire cottage, is our 5-drawer period style oak chest of drawers. This particular piece was finished in our 'Lightly Aged' option and colour matched to their existing antique chest of drawers. We also supplied a linen press (pictured in the same room and also listed in this category), as well as an extending dining table.